The French-Argentine animated film set on the Andes mountains, Pachamama, was bought by Netflix which announced its worldwide distribution on Summer. Below infos and trailer. In French theaters last December, the film is directed by the Argentinean Juan Antin and written by himself with Patricia Valeix and Olivier de Bannes, produced by the French studio Folivari by Didier Brunner (producer of Kirikou, Ernest & Celestine and many others). 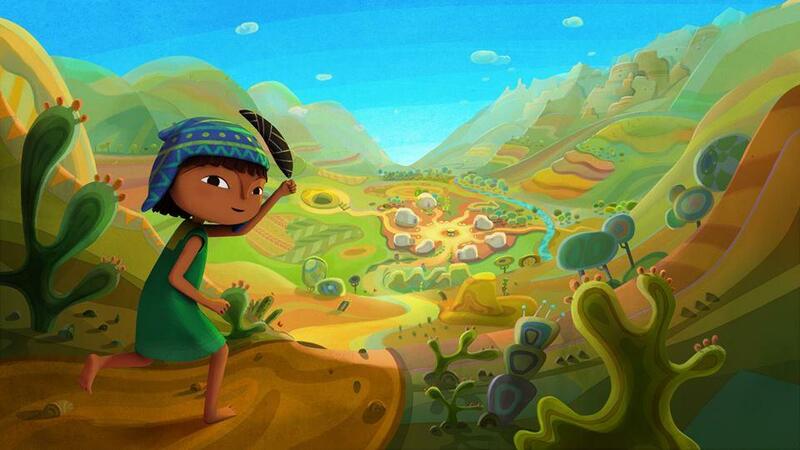 The story, created with 2D animations mixed with CG filtered animations and beautiful illustrations inspired to colors and styles of the south american culture, talk about Tepulpai and Naira, two young inhabitants of a village in the Andes Mountains whose Incas steal the protective totem. The two will follow they to the capital Cuzco where they will find the population besieged by the conquerors. "Pachamama has been, for me, a very long journey, guided by a message that came like an echo from ancient times – a message of love, respect and gratitude to our cherished Earth. Thanks to Netflix, I am thrilled to share this awe-inspiring story with a global audience," says the author and director Antin. An opinion shared also by Melissa Cobb, Netflix vice president of kids and family, which defines it "a unique point of view of an ancient culture, well honored with an amazing realization. We are thrilled that our global family audience will have the chance to visit the highest peaks of the majestic Andes mountains." The film will be available on the Streaming Platform on June.